I can't bear it. 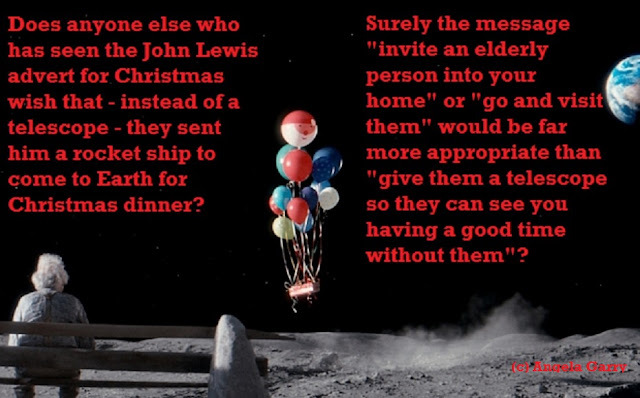 The Christmas 2015 John Lewis advert is SO wrong. We see the lonely old man in the moon. A little girl sees him through a telescope. He looks sad and all alone. So she sends him a telescope for Christmas and waves at him. This is purportedly a message to encourage us to think of old people at this time of year and to do something for them. My response to the ad? If you agree with me - please feel free to SHARE this post, especially to John Lewis and Co.